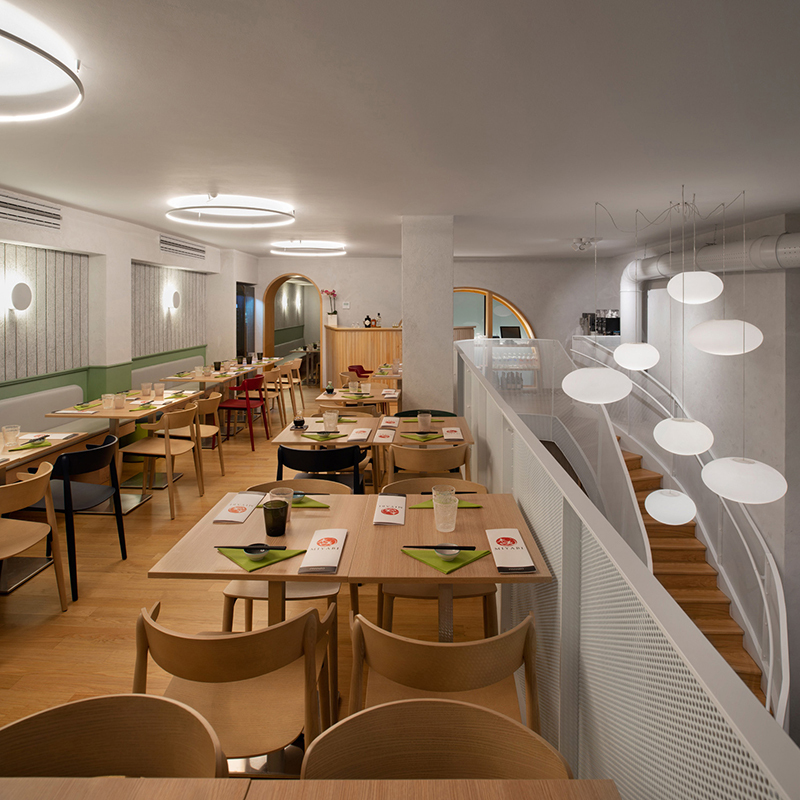 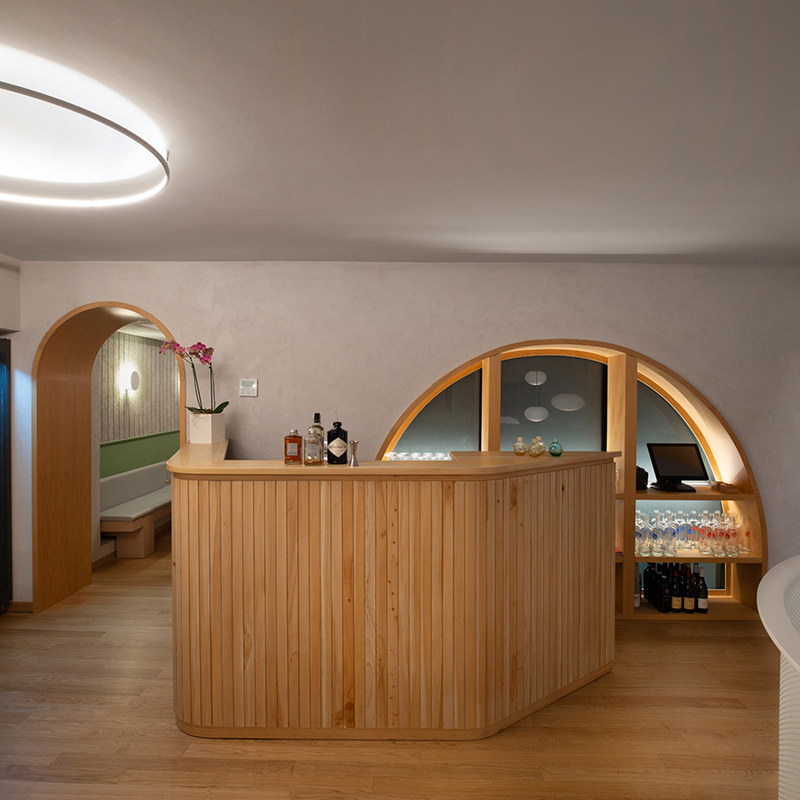 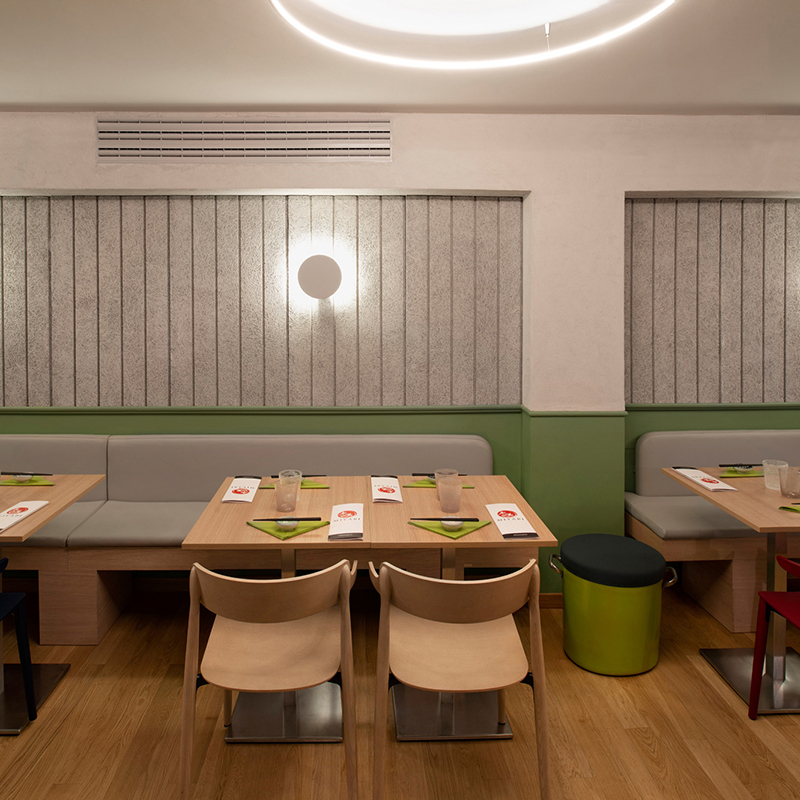 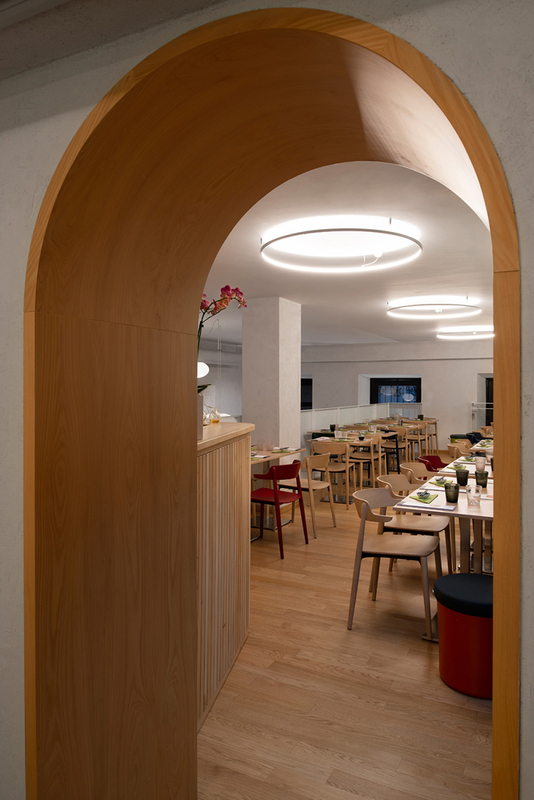 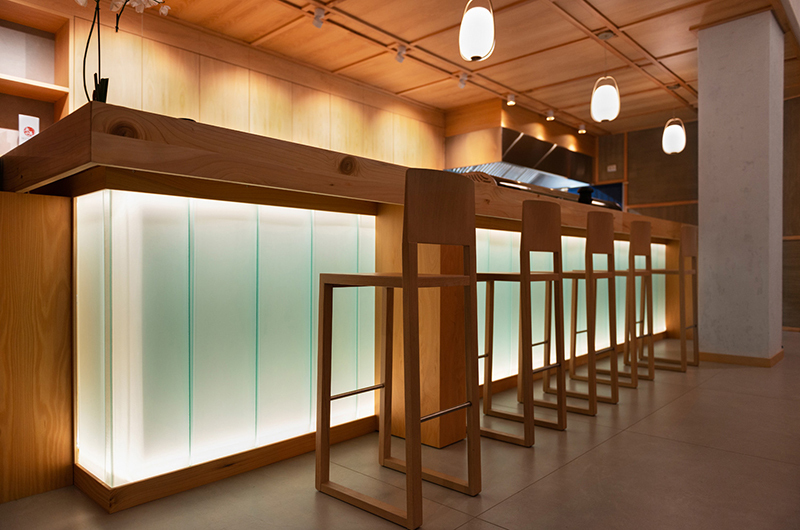 Light, cypress wood, Uglass and perforated sheet are the elements which characterize the project of Miyabi Japanese restaurant in Milan. 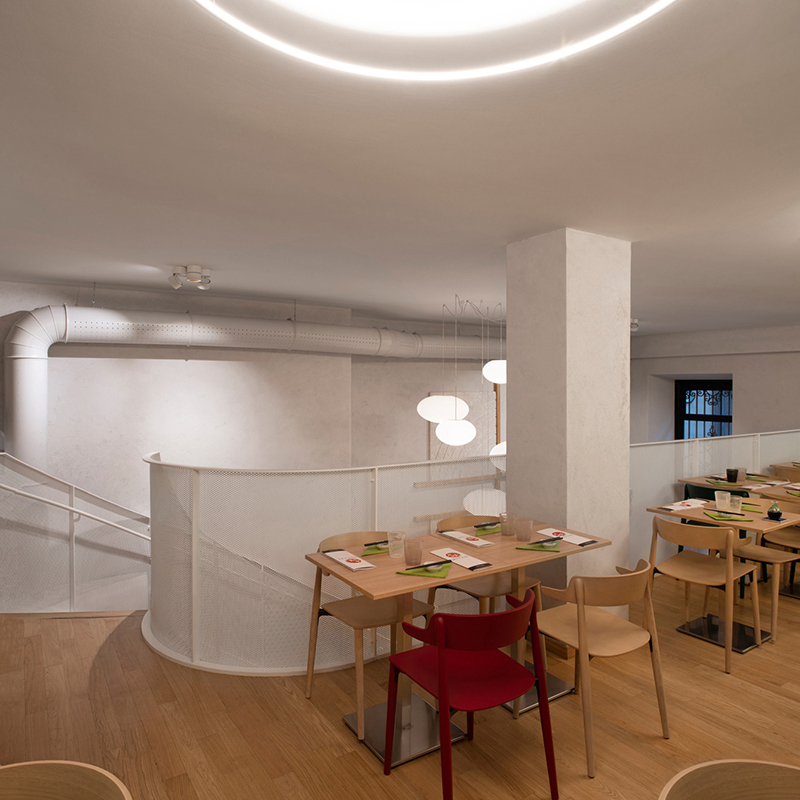 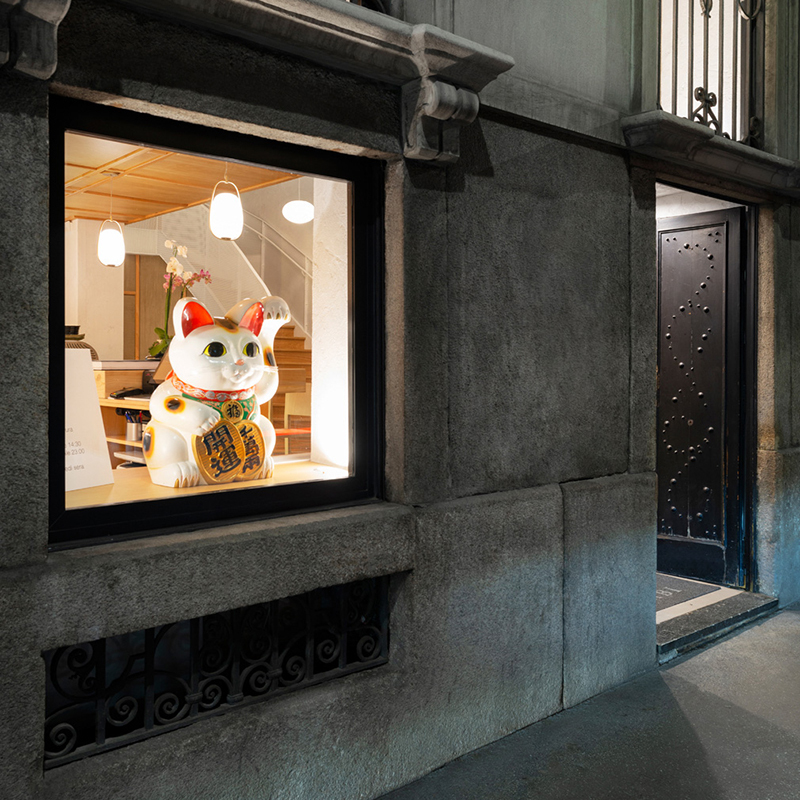 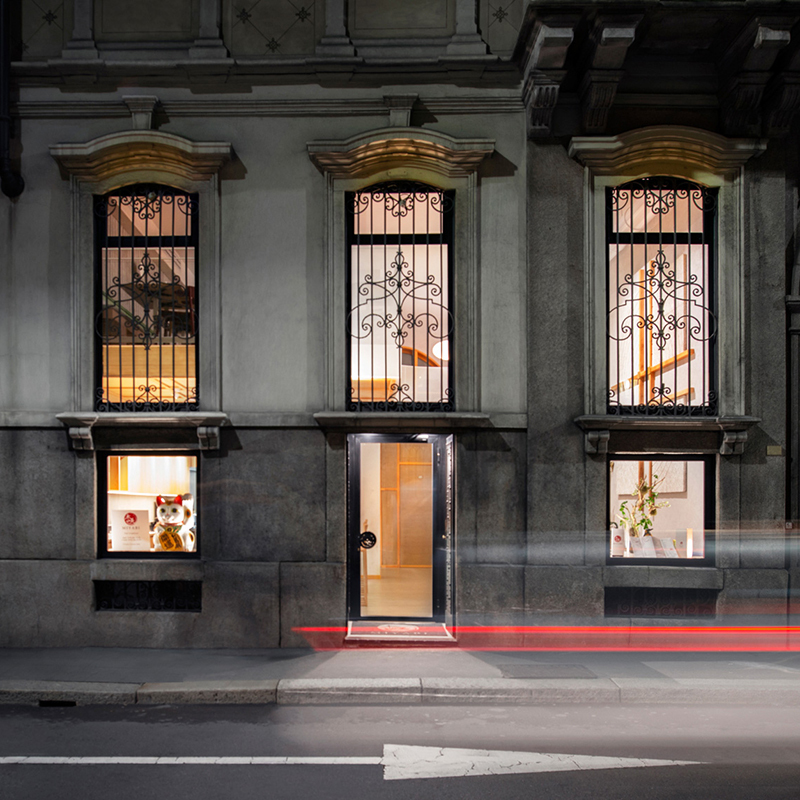 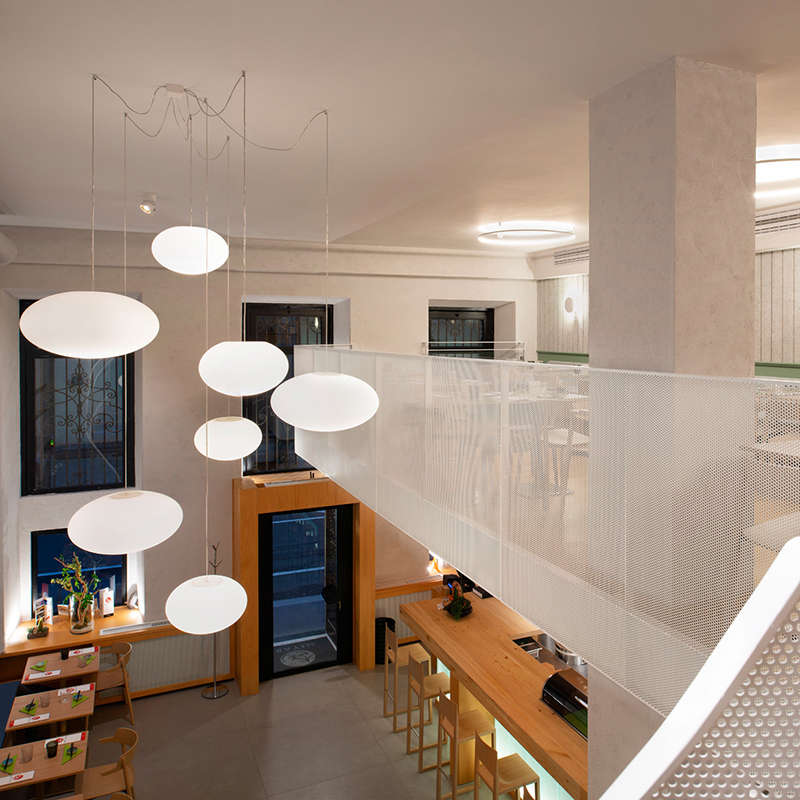 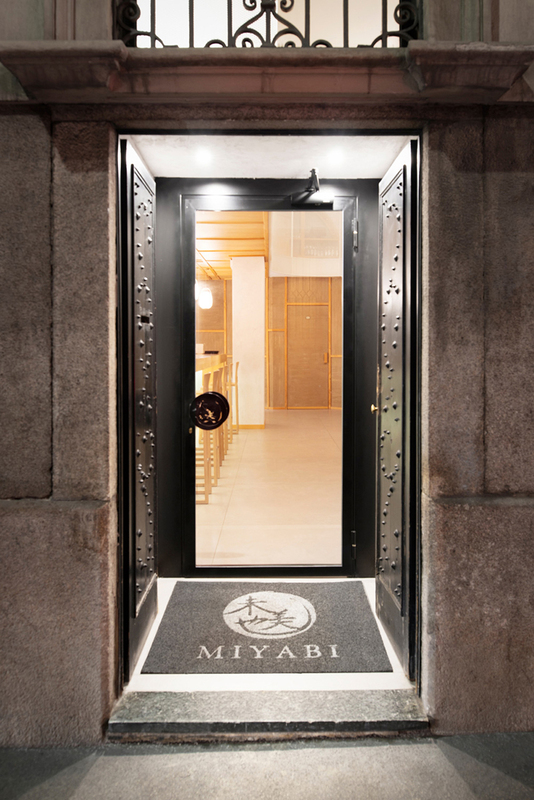 Miyabi occupies the groundfloor premises of a prestigious historic building in the heart of Milan, only few steps from Duomo and San Babila’s Basilica. 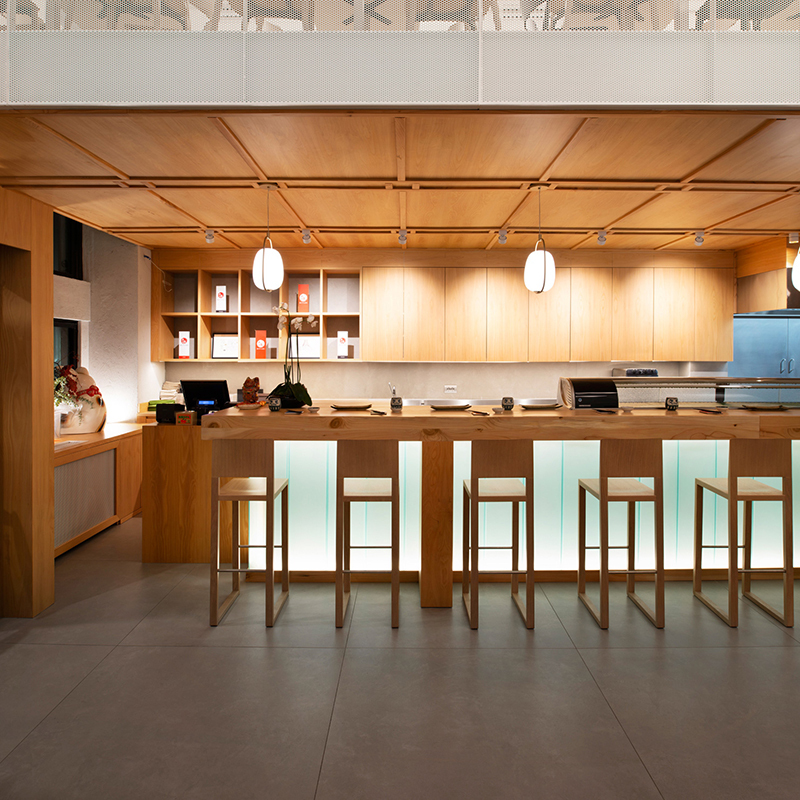 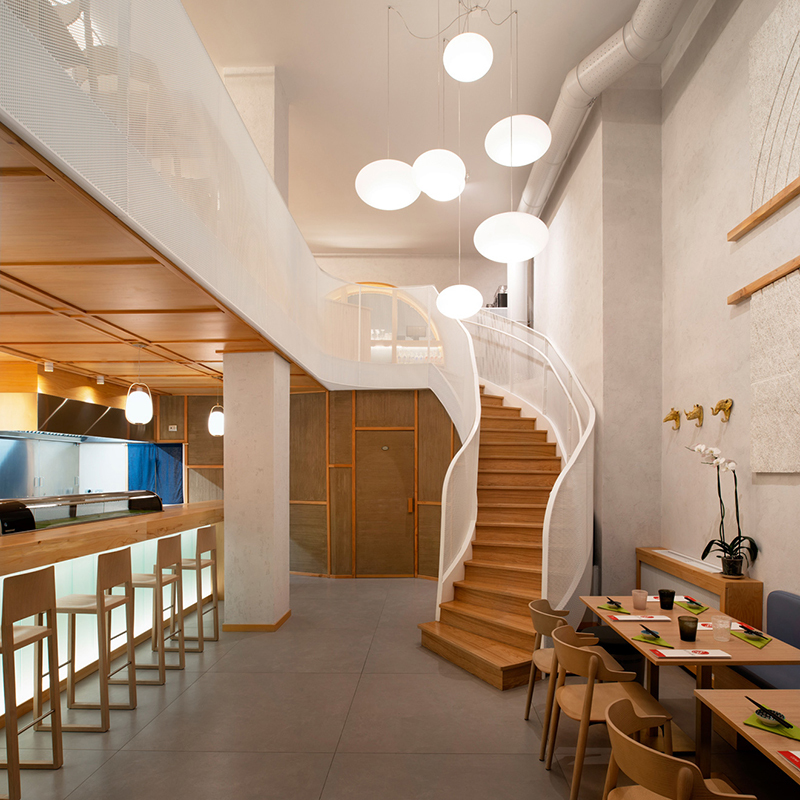 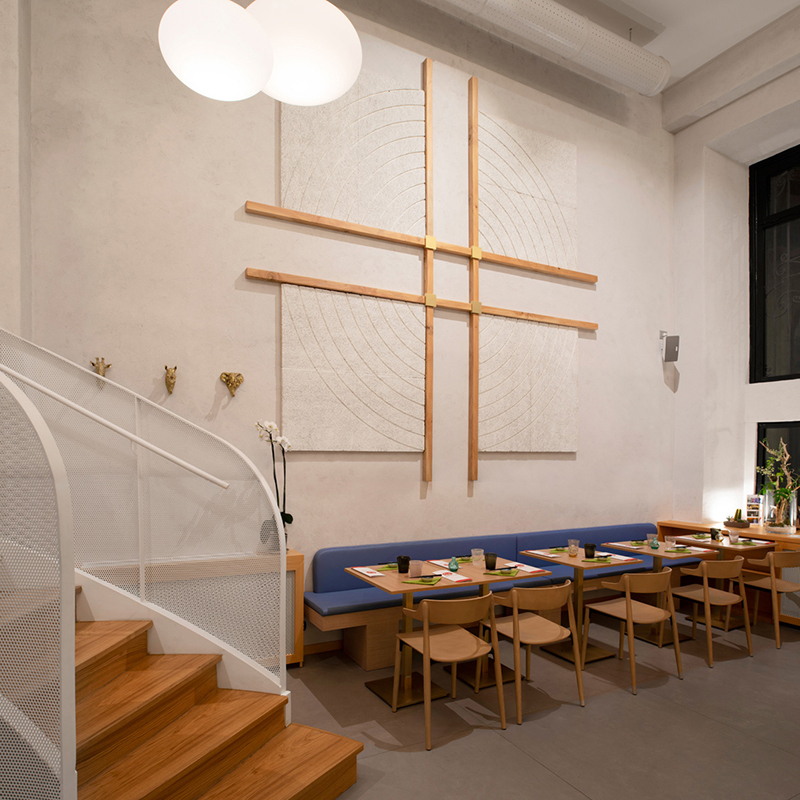 In keeping with the owners’ oriental philosophy, Miyabi is a bright and minimal space. 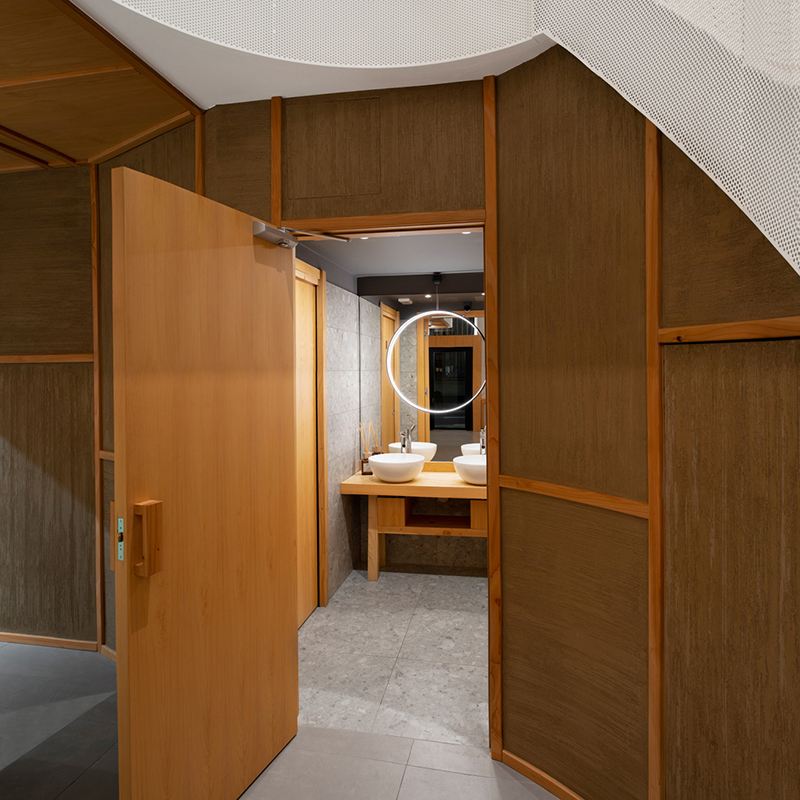 The simple and clean lines define the space while the wide use of natural materials, such as cypress wood, help to create a more intimate atmosphere.